Just like health promoting interventions are intended to reduce an individual’s risk of disease and illness, fire safety interventions are designed to reduce the risk of a fire emergency occurring in your home. A well thought out fire safety plan will also help you and your entire family be better prepared to respond should a fire occur. A 2015 report documented that home structure fires caused 78% of civilian deaths and 71% of the civilian fire injures. Cooking equipment is the leading causes of these home structure fires and smoking is the leading cause of civilian home fire deaths. Electrical wiring and heat source malfunctions are the second most common cause of home fire fatalities. Fortunately, the wisdom of emergency preparedness can help reduce the risk of fire, minimize property damage as a result of fire, and most importantly reduce the loss of personal life – you and your family members safe and together. 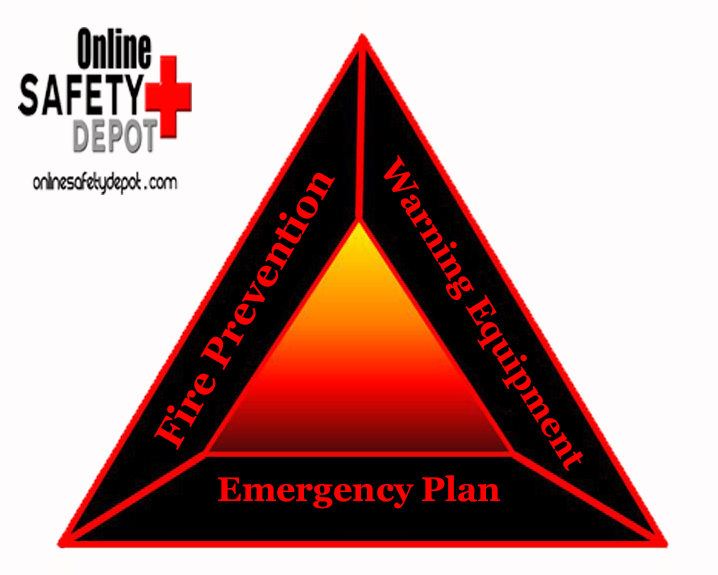 The following recommendations, categorized into three main categories – Fire Prevention Principles, Early Warning Equipment, and Fire Emergency Plan Execution Strategies – will go a long way to increase each family member’s fire safety awareness and how to effectively act in case of a fire. Safe cooking methods: When cooking, cookware should never be left unattended. Nearby counter tops should be clear of potential combustible materials in case of splattering oils or sparks from electrical cookware malfunction. Use of matches and other small flame producing devices: Some young children are drawn to a flame and may find matches, cigarette lighters, and fire starters enticing play items. They should be taught of their potential danger and instructed to avoid of their use. Proper electrical outlet usage: Avoid plugging too many electrical devices into an outlet and never plug two appliances into the same outlet or use multiple extension cords to power several devices from the same outlet. An excessive number of electrical devices being powered from one outlet can overload the circuit and generate excessive heat that can degrade internal wires and overtime may start a fire. Storage of combustible materials: Never store any fuel source such as wood, gas, paper, etc. near a source of flame or heat like a fireplace, space heater, furnace, where a wayward spark or unintentional mishap could ignite the fuel source and start a fire. Open flame supervision guidelines: As a rule, never leave an open flame unattended. A fire place, stove, even a candle is to be consistently monitored. Outside debris and flammable materials management: All flammable debris such as dead leaves, shrubs, pine needles, dried trash or scraps are to be cleared so that they are no closer than 30 feet from your home structure. Ensure integrity of heat sources: Fireplaces, chimneys, furnaces, dryer vent, etc. are to be kept clean, in proper working order, and inspected on a regular basis. If there is a fire in your home, it can spread rapidly. Being alerted by working smoke alarms has shown to significantly decrease the risk of dying or being injured from the fire. National guidelines for fire alarm installment as listed by the National Fire Alarm Code requires that new homes have fire alarms outside each sleeping area and inside each bedroom. These alarms are to have a hardwire interconnection and supported with backup batteries. Older homes must have smoke alarms on every level and outside each sleeping area at a minimum. Monthly check your fire alarms to ensure that they are actively working. Pressing the test button on the alarms will verify this. Develop and train family members in a fire emergency escape plan. Escape practice drills. As a family, periodically practice escaping from your home as if there was a fire. Time the process of each individual, provide appropriate feedback on their performance, and encourage periodic mental review of the process. The practice drill is not complete until each member can escape quickly and easily in case of a fire. Dealing with Smoke. If your escape route is filled with smoke, then dropping to your knees and crawling on all fours will help protect against inhalation of the poisonous gases in the smoke and allow continued escape effort. Portable Fire Escape Ladders. If your home has two or three stories, then one of the potential escape routes is through the window and down a ladder to the ground. Application of this device will require training in its placement and use to be effective. Train all family members in the Stop, Drop, and Roll Technique. If a family member’s clothes catch fire, this technique clearly explained to family members and practiced with feedback is an important skill in fire safety. Help children understand that when you drop and roll it smothers the flames and will extinguish the fire. Train key family members in the use of a portable fire extinguisher. Only those who have the physical capability to handle the extinguisher should be trained in its use and all family members should know where the fire extinguisher is located. Remember, a fire extinguisher is only intended to be used when a fire is small and when a sure escape route is located behind them should the fire get out of hand. Never stay to fight a fire that has grown and could not be extinguished immediately with the fire extinguisher. Call 911. Once you have safely escaped from the house of danger of the fire, call 911. Each member of the family should be taught not only how to dial the number, but what to know and say (name and address) to the dispatcher that will receive the call. Focus on what is truly important. Never let any desire to save property or belongings or to try and extinguish a fire that is beyond control slow your response to escaping the fire. Belongings can be replaced, structures rebuilt, and a resilient spirit reenergized for another day, but the loss of a loved one is a devastating loss that cannot be replaced. Create and inventory of all your belongings. Should the worst happen, and a fire destroys your home, having a record or your belongings, preferably in video or photograph format, will be the needed evidence to submit to your insurance company to help lessen the extent of the loss.